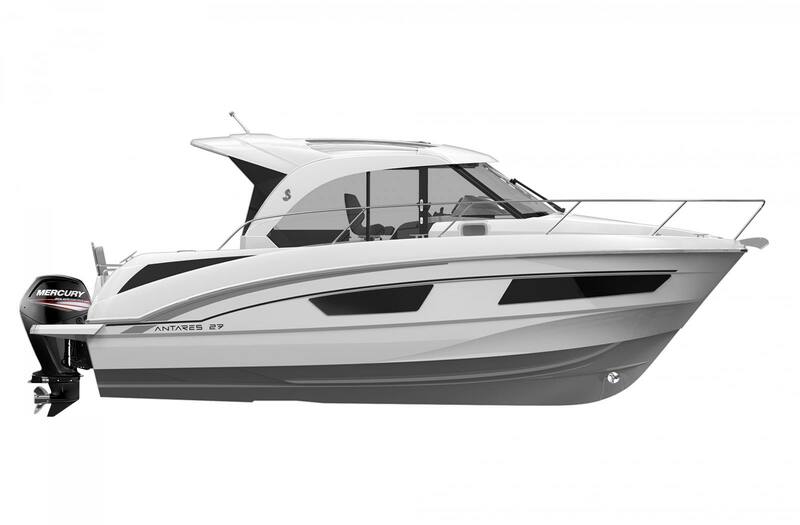 Exterior Design: With her Airstep® hull, the Antares 27 cuts gently through the waves offering a comfortable ride and safe navigation. 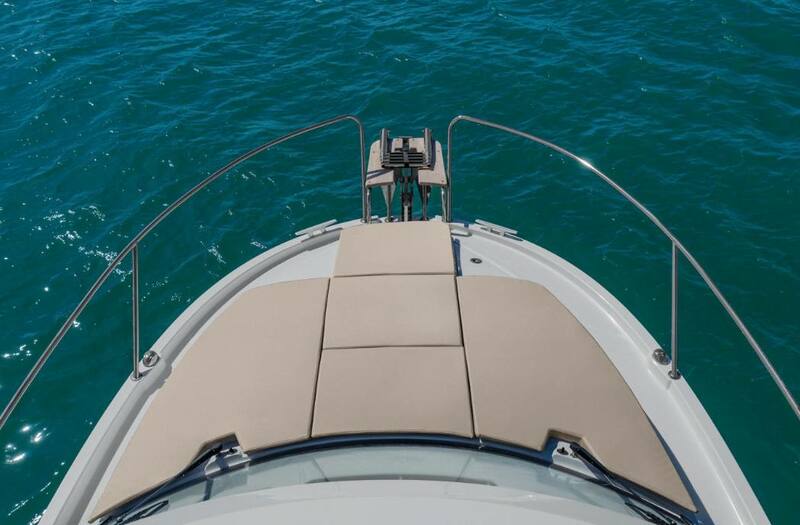 With U-shaped seats that convert to sunbathing areas, her attractive spacious cockpit (5' x 7'9'') is a great place to relax with friends. 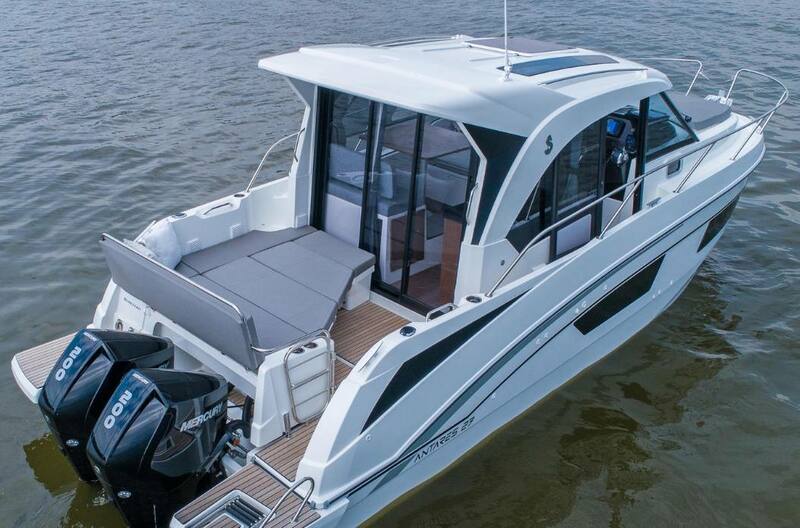 With up to 2 x 200 hp power, the Antares 27 has the latest technological developments in terms of outboard engines. 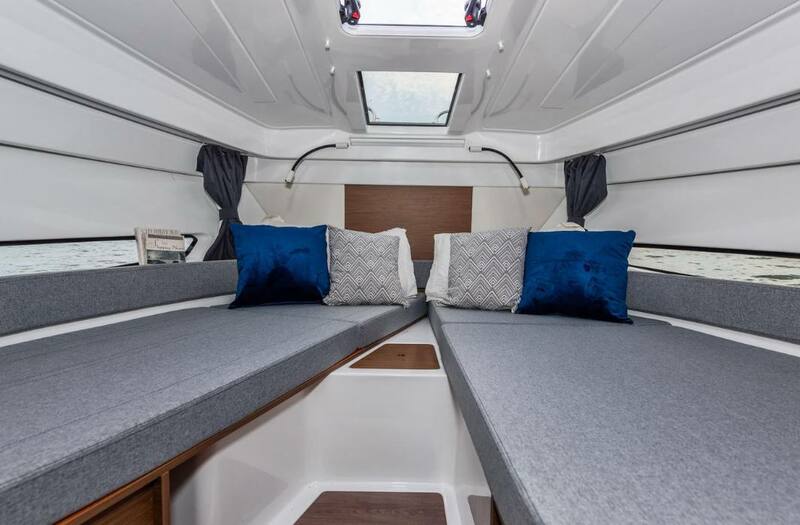 Interior Design: Two separate cabins, one galley and a cleverly fitted shower room make the Antares 27 the ideal boat for cruises with family and friends! 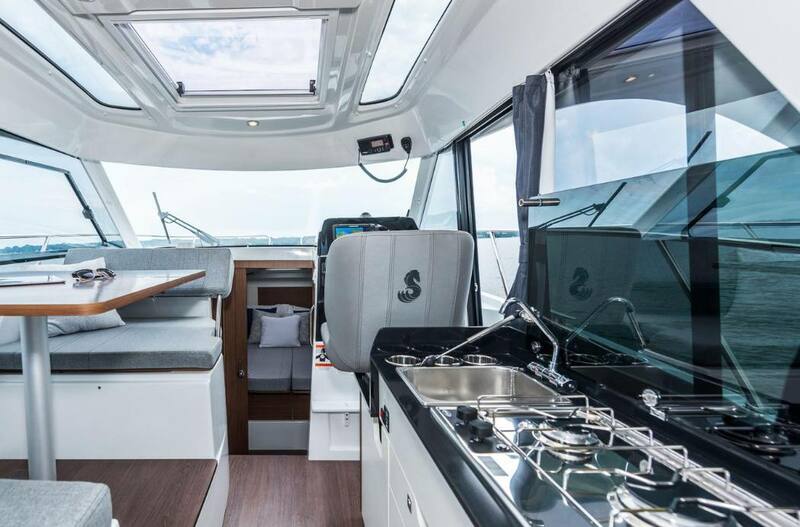 With wraparound windows, the pilothouse has a panoramic view and is incredibly bright. 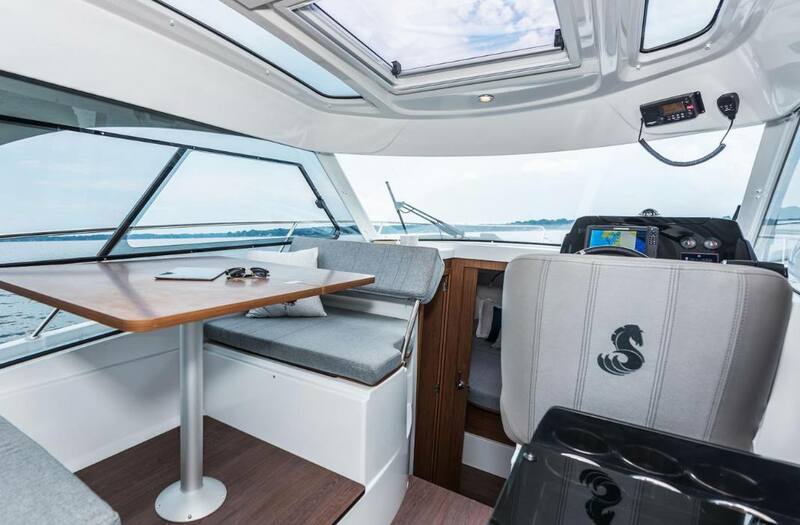 There is a real feeling of space and the lounge is cleverly organized with a co-pilot seat that swings round. This means you can sit facing the sea or facing the chart table. 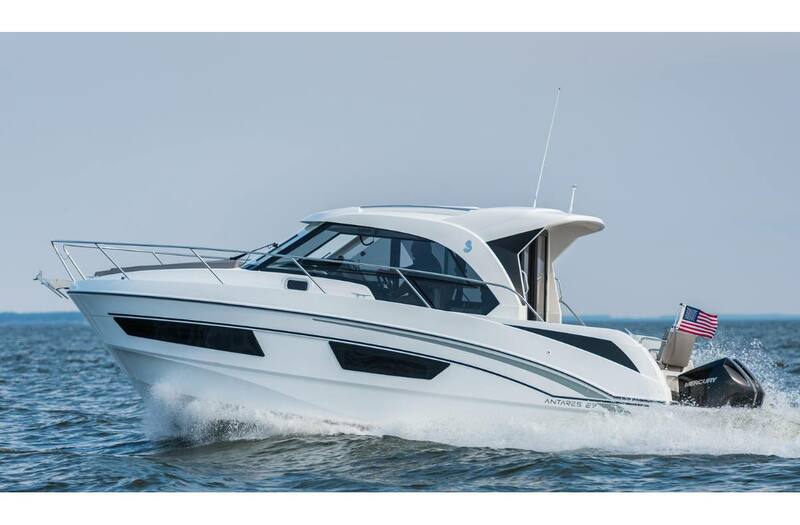 Comfortable Cruising: Perfectly fitted out, the Antares 27 is an invitation to get away and relax. 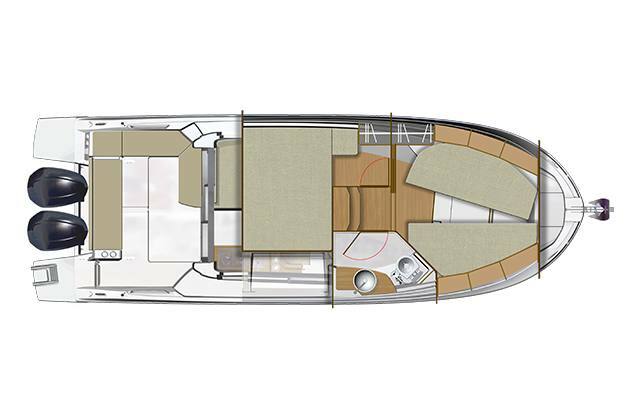 Space and Light: With a three-leaf sliding door, a side door and an optional opening roof, the wheelhouse is incredibly bright and houses a large saloon with seats for 4 people facing each other. 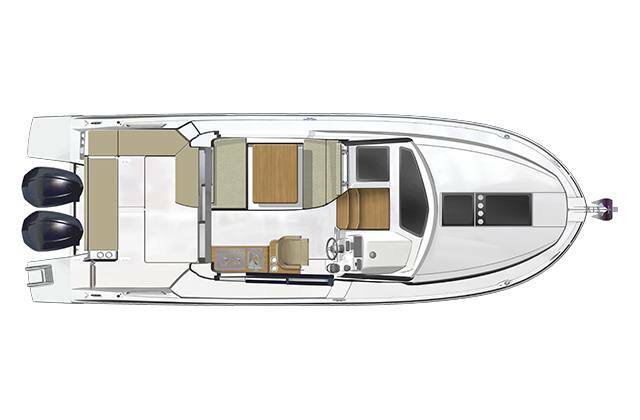 Great Autonomy: With maximum comfort on board, the Antares 27 can take up to 158 US Gal of fuel and 42 US Gal of water. 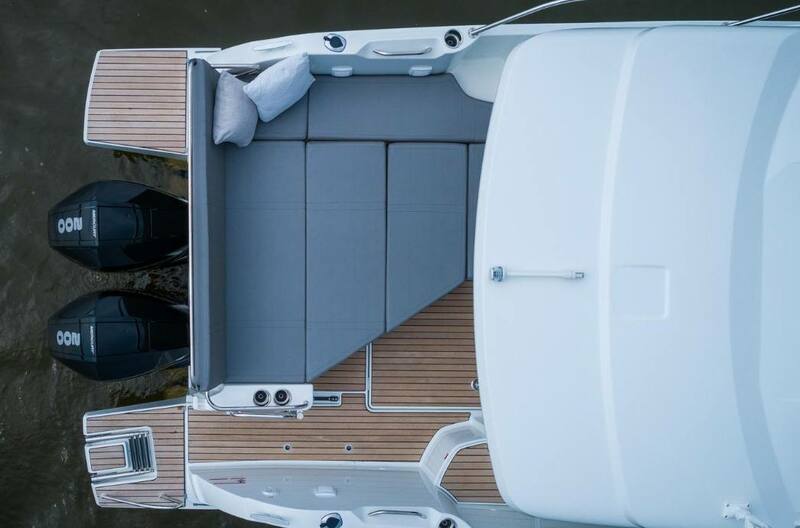 Easy Circulation: A side door opens from the driving station onto a starboard walkway making manoeuvres easier and safe. Fuel Tank Capacity: 2 x 79 US gal. 2 x 79 US gal.